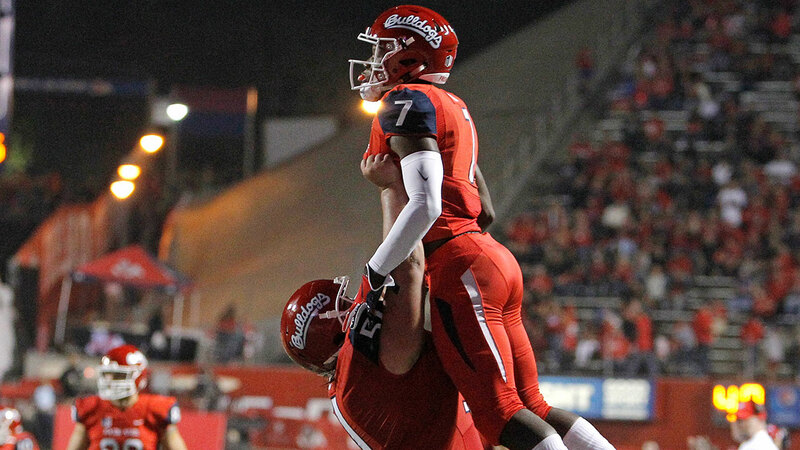 FRESNO, Calif. (KFSN) -- Fresno State (7-1, MW 4-0) is once again a ranked team coming in #20 in the AP Top 25 poll. After the Bulldogs 50-20 win v. Hawaii, the team has jumped into the national conversation as being one of college football's best. State also climbed to #23 in the Coach's Poll after being previously unranked. 🎥 HIGHLIGHTS | Fresno State 50, Hawai'i 20. The first College Football Playoff rankings of the year will be released this Tuesday. Fresno State will play their next two games on the road at UNLV and at Boise State before returning home to face San Diego State on November 17th.